What’s the Difference between Hemp and Marijuana? CBD Oil and CBD Vapes| What’s The Deal? CBD Vape vs Tincture: What’s the Deal? Cannabis – A type of flowering plant that includes three distinct variations: Cannabis ruderalis, Cannabis indica, and Cannabis sativa. Cannabis has a wide range of industrial and medical applications. It has been used since antiquity for its sturdy fiber, for oils, and for medicinal purposes. However, it has also been used as a recreational drug, a fact that renders the cultivation of cannabis strictly regulated because of some variations including high concentrations of THC. Hemp – Hemp refers to the high-growing varieties of cannabis that are grown to be specifically used for fiber, oil, and seeds. These are then refined into numerous products including wax, resin, cloth, pulp, paper, rope, fuel, and hemp oil. Cannabinoids – A very diverse chemical family that includes natural as well as artificially created substances. Different cannabinoids have widely varied effects, with some cannabinoids proven to have soothing and relaxing properties and others classified as illegal drugs. CBD – A naturally occurring cannabinoid, and the second most abundant constituent of the Cannabis plant. CBD is legal and safe to consume, yet has long been in the shadow of THC. THC – The most abundant constituent of the cannabis plant and a strongly psychoactive cannabinoid, THC is responsible for getting “high” from smoking marijuana and, as a result, its production and usage are strictly regulated. Psychoactive – Any chemical substance that can enter the brain from the bloodstream and directly affect the central nervous system is considered psychoactive. Many psychoactive substances have medical applications (such as anesthetics, psychiatric drugs, etc. ), but some of these substances are used solely for recreation, causing dangerous side effects and addiction. Intoxicating – Any substance that can cause you to lose control of your faculties and alter your behavior is considered intoxicating. Almost all illegal drugs have intoxicating properties, although worldwide most intoxication cases are attributed to alcohol. Intoxication can be caused by substances that directly affect the brain (i.e., psychoactive) or by indirectly causing damage to your organism (i.e., through toxicity, hence the term). The excitement around CBD and CBN is real and people are turning to these alternative medicines all over the world. Cannabidiol and Cannabinol have many health benefits which we have only begun to discover. Made from completely natural hemp plants, CBD and CBN contain many extremely beneficial components. 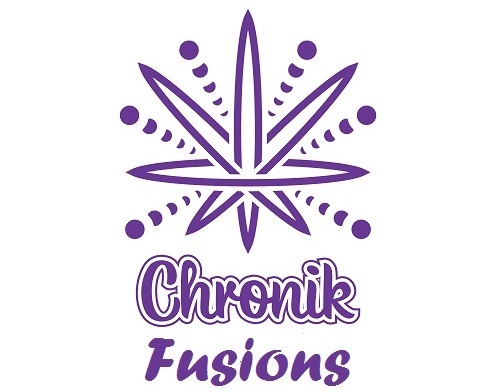 However, Chronik Fusions products do not contain THC, or tetrahydrocannabinol. This means that Chronik Fusions full spectrum CBD~CBN products are not only beneficial, but 100% legal.